Integrated marketing services campaigns can be very hard to master. We are in the digital era and the multi-media paradigm rules where digital and traditional forms of media may compete, coexist or even collaborate. It is in the case of the latter when traditional and digital media work in tandem, that a business gets the benefits of integrated marketing services. When does an integrated marketing services campaign turn out to be exceptional? Some of the common features of stellar integrated marketing services include consistency in brand building and messaging, building on a frequency of communication and deciding on which media to factor in. Let’s check out 5 of the all time successfully integrated marketing campaigns and find out why they did so well. The #lidlsurprises campaign rolled out by supermarket major Lidl started on TV as well as in print and accompanied by a social media boost. The TV advert showcased customers looking satisfied and purchasing wholesome goods at a little market which turned out to be the Lidl market. This was not all – the ad was also prominently plugged with the tagline #lidlsuprises because the pun was a powerful marketing tactic. Additionally, the social media tagline and hashtag were integrated across all channels connecting the elements. There was even a website dedicated to the hashtag #lidlsurprises where you could spin to receive a surprise recipe to cook a dish called www.lidlsurprises.co.uk. The entire campaign involved the supermarket chain stepping away from traditional media. They integrated social media customers and shoppers by blending conventional and digital marketing. The campaign was so successful it put Lidl on the map with UK supermarket giants like Asda and Tesco. When Coca-Cola launched a new set of soft drinks known as Coca-Cola Life, a month long campaign followed. The drink is a health drink in the same genre as Diet Coke and Coke Zero. It was a healthier option compared to their sugary ones. The campaign was rolled out in a whopping 7 thousand locations worldwide. And that’s not all. The integrated marketing services utilised during the launch of this campaign saw billboard and bus hoardings blending with digital screen ads. These were further supported by digital, print, experiential and PoS activity. Television not being used was a surprising twist. Along with this, the company also launched a pop up store in the UK to give a people a chance to win a trip to NYC. Those who could not visit the pop-up shop could enter the competition by sharing a Coca-Cola Life pic online using hashtags like #CocaColaLife. The marketing mix was just right and the media choice at the forefront of the campaign was perfectly judged. Integrated marketing combines traditional and outbound marketing in new and exciting ways. Porsche is one of the leading automotive brands in the world. Synonymous with luxury, class, elegance and speed, it is a premier brand in the automotive sector. Porsche is also a successful integrated marketer and the launch of its Popup Autocross Event series was an example of this. Adverts on social media announced big events like a drive at Chicago’s Soldier Field. Additionally, there were 360 videos of the driving experience. It was a real integrated campaign with the videos adding an element of personalisation and giving it a voice that defined the luxury car brands intention to stand out in a market dominated by hoardings and clever taglines. Southwest Airlines has always been an airline which has been seen as a budget brand offering low fares and unquestionable value for money. As the airline has grown, it is facing considerable competition from others in the industry, offering brand amenities, and luxury services. To re-establish itself as the leader in the airline industry, Southwest launched the integrated marketing campaign entitled Transfarency. The campaign used radio, print, television and digital assets to communicate value propositions of brand authenticity and value for cash. The campaign also boasted a micro site, which exposed hidden airline fees charged by competitors such as American Airlines, Delta and Spirit Airlines. There was even an interactive component which had visitors take a quiz called fee or fake to highlight the massive charges by competitors, and of course, the montages of dancing Southwest Airlines pilots in the quiz only added to the fun! The site also had a Dear Southwest Ad libbing feature, where users chose predetermined words in a letter to Southwest complaining about treatment in other airline brands. The fee hacker helped users to minimise fees while forced to fly on brands other than Southwest. The buzz this out-of-the-box campaign created on Facebook and Twitter was massive. So was the impact on Southwest’s sales. Taking on a rare sports player and legend like former Yankees player Derek Jeter on their integrated marketing campaign proved to be a major success spinner for sportswear brand Nike. So, what happens when sports legends are given a hashtag (#R2SPECT) to honour their efforts by a sportswear giant? Pure social media frenzy! The R2SPECT campaign commenced with a video showing New Yorkers tipping their hats to Jeter for the Yankees success. In the final season of his Major League baseball, the sports legend received tributes on TV, print, outdoor media and digital media too. Consider that Nike’s campaign reached more than 44 million viewers online and trended everywhere from Instagram to Facebook and Twitter and you’ll understand the power of this integrated marketing campaign. The video also inspired hundreds of followers to put their videos of the player on social media platforms and create a viral brand story for Nike that was as relevant as it was compelling. Thus, integrated marketing gained traction as against individually singled out traditional or digital media campaigns. Integrated marketing services that combine digital, print, outdoor, radio and TV work together and do a better job of spreading the message across rather than using just one channel. The aim of integrated marketing is to provide consumers with a flawless brand experience across paid and organic channels. 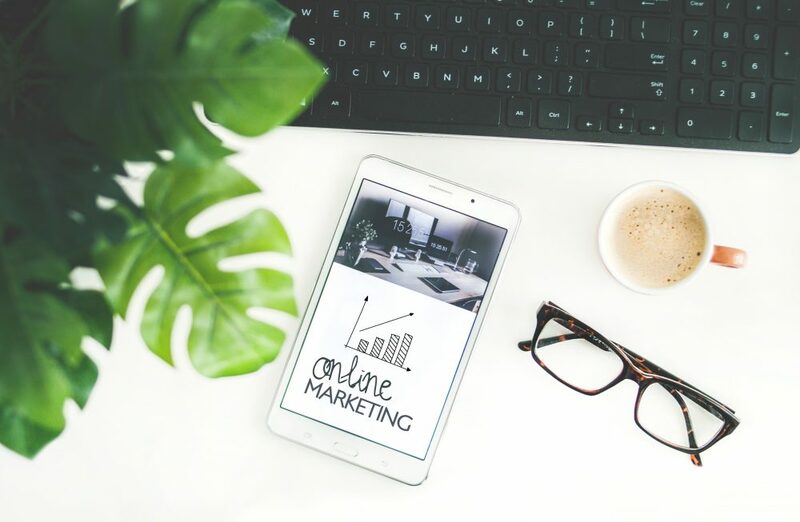 Integrated marketing strategies, therefore, are based on communicating the marketing message consistently and using various marketing media to form a powerful brand to reckon with.